Thanks Sean! This is a BIG contribution to the daily fitness blog/website posts. 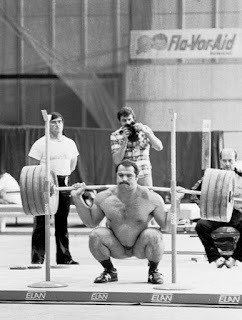 Straight-forward coaching on getting strong, from THE source. How long of a rest interval should be used between sets? Started this progression today. Great set of exercises! the powersnatch + overhead squat combo was awesome. Overall it felt like the right level of intensity for a beginner level power lifting. will report back on each workout to track progress. My hope is to finish and then pay a visit to mr Waxman for further advice. thank you much again for posting this.